Jesse Baerkahn is a connector. He’s the kind of guy who has a contact list full of restaurateurs and smart retailers in his phone, and a client list of developers who’d love to have cool restaurants and smart retail in their buildings. Indeed, connecting those sorts of people is his business. 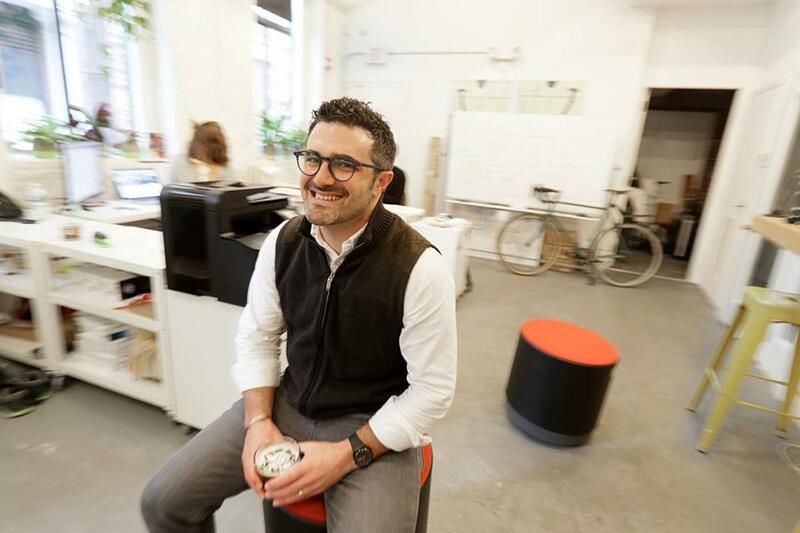 Baerkahn, 36, is founder and president of retail advisory firm Graffito SP. His five-person company plays a quiet but key role in shaping the street-level experience of Boston’s building boom, helping to fill all those new storefronts with the kind of local small businesses that can make a development start to feel like a community and help a neighborhood come alive. Baerkahn’s a small-business lawyer by trade, not a retail broker or an urban planner. But his firm combines elements of all three and keeps busy these days finding just the right mix of tenants for neighborhood-altering projects all over town. Globe reporter Tim Logan caught up with him last week to find out what that work looks like. 1The germ of what would someday become Graffito began in Madison, Wis., where the Winchester-born Baerkahn went to college at the University of Wisconsin. A friend of his ran a college directory and was trying to get local businesses to advertise, and not just the usual suspects from Madison’s student-oriented main drag of State Street. Baerkahn acted as a sort of scout. 2Nearly a decade and a Northeastern University law degree later, Baerkahn was working in solo practice as a small-business attorney when he got an interesting challenge from a developer he knew. The developer, Alex Twining, had a new apartment building in Kendall Square but couldn’t figure out how to fill the ground floor. Twining knew Baerkahn knew lots of small-business owners. 3Graffito might have been born in Kendall Square, but today the firm is regional. It’s based in a tiny office behind a coffee shop in Boston’s Leather District. And its projects span from Malden to Quincy Center, from New Balance’s sprawling Boston Landing complex in Allston to the Seaport’s ultra-luxury Pier 4 condos. Digging into new neighborhoods — understanding their nuances and what might fit best — takes a lot of talking with residents, who are also potential customers for the new retailers. But the process remains the same. 4But that process only goes so far. Once a year, the whole Graffito team takes a field trip to another city — this year, Washington — for ideas. Baerkahn lived in Brooklyn for a while, and Graffito did some work in New York City. But he moved back a year ago, and these days his firm focuses on the Boston region. They’ve been turning down work out of town, Baerkahn said. 5Baerkahn and his wife have 2½-year-old twins, and having children shifted the way he thinks about cities and urban spaces. Lately, he said, they find themselves drawn to places that work for all ages. Harvard Square, for instance, or a good park.